Supporters believe that periodic cleansing of the body with a liver detox diets, helps to clear the body off toxins that have built up from unhealthy lifestyle practices. But, how does this work? Is it possible to target a single organ for cleansing? Let us see how the liver detox diet works according to the promoters. Eating and drinking only fresh fruits and vegetables in the form of juices or smoothies for a few days. The main ingredients being artichoke, dandelion, milk thistle, apples and lemon. And lastly, eating Epsom salt with large quantities of olive oil. 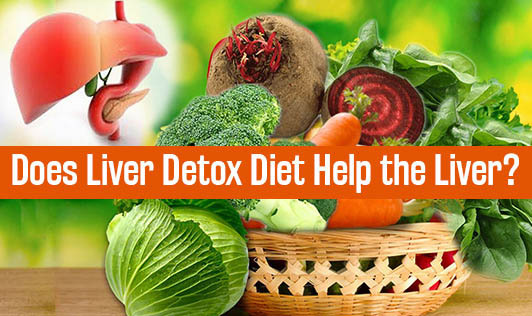 The proponents claim that this diet cleanses the liver and detoxifies the entire system. Doesn't this diet look complicated? The diet is restrictive of basic food groups and is hard to follow. And, more importantly, it is not scientifically supported. Our traditional medicine practices like Ayurveda and Naturopathy also support certain treatments for acute and chronic liver diseases through diet. But, it is important to follow them under a health professional's guidance. And, most importantly you should know that the same treatment will not hold good for everyone. So let’s discuss some interesting facts! Our body has its own detoxifying process that works quite well. The liver, kidney and the colon do a good job of processing chemicals, toxins and eliminating them through sweat, urine and feces. There is no doubt that chemicals and toxins are constantly bombarding our bodies. Some are inevitable, and some come from our habits. But, certainly there is a healthy way to stay away from them. Taking 7-8 hours of sleep daily. Make sure you drink warm water with freshly squeezed lemon juice to it to ensure your body gets Vitamin C, which will spur the production of digestive juices. Beetroots: Beetroots activate liver enzymes and effectively utilize the bile, which helps in break down and absorption of healthy fats and fat-soluble vitamins like, vitamin E.
Broccoli sprouts: Broccoli sprouts are a “detox superstar,” as they’re rich in antioxidants and boost up glutathione. Walnuts: They helps in circulation and blood flow as they’re rich in arginine, which helps the body to neutralize and flush out toxic byproducts. If you are still eager to try out any such diets, be aware of the risks. It should be done only if it is prescribed and supervised by a health professional.